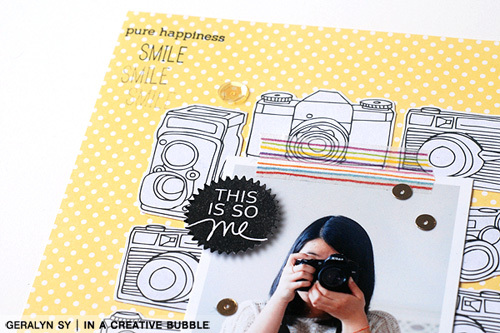 That 'this is so me' pinked circle stamp from Be You is definitely going to be a staple item in my album. The 'smile' and 'pure happiness' stamping detail at the top left corner was done using stamps from Today Was and Filigree. 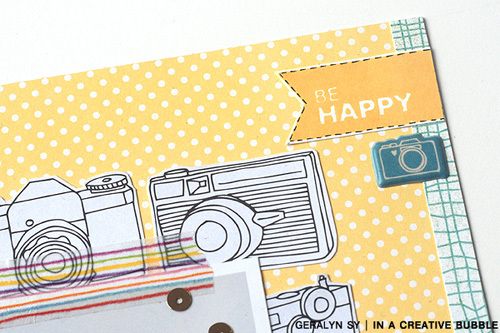 Love that cute banner stamp, also from the Be You set. 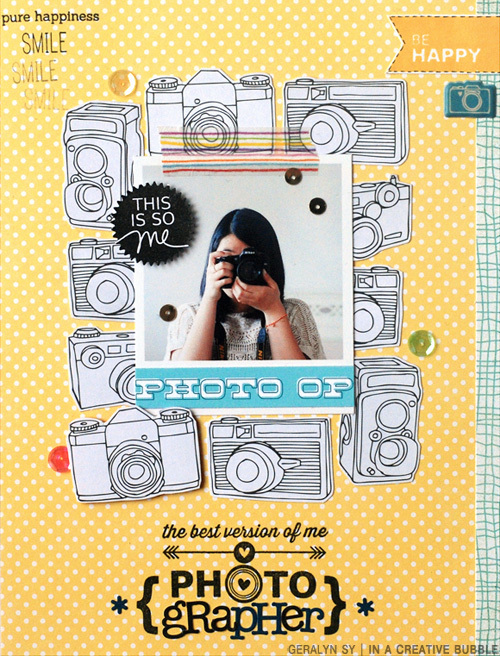 I kept this layout simple, letting the camera icons and stamped elements be the focus of my page. Thanks for looking! Oh, how much I love this layout! i think this is gorgeous!!! LOVE the colors and stamps and everything!! it's just wonderful!!! 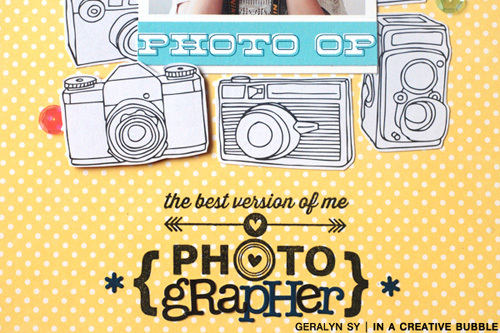 love this page, the layout with all the cameras and how you took the pic of yourself! Fab!